The xStack DGS-3426P by D-Link is a high-performance, managed, stackable Layer 2+ Gigabit PoE switch that provides ideal network solutions for workgroups and edge deployments. 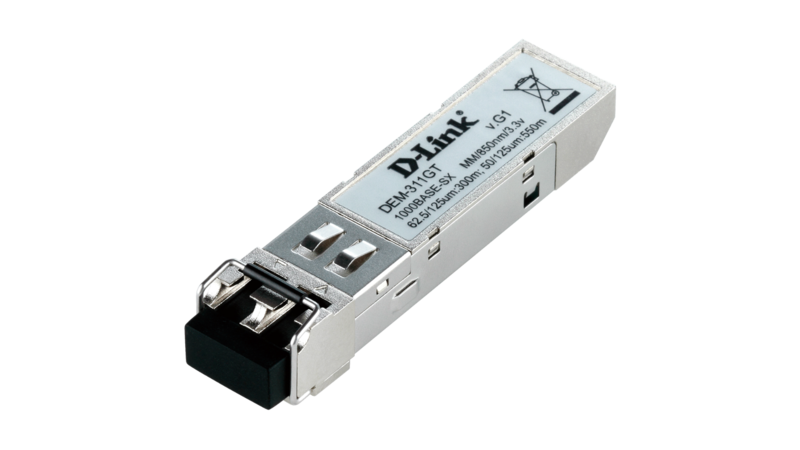 D-Link® Single IP Management (SIM) allows network administrators to cluster a virtual stack of up to 32 DGS-3426P dispersed switches through a single IP address. The clustering environment spans buildings, making it perfect for businesses that require multiple building deployment. The DGS-3426P also supports physical stacking of up to 12 units in a stack, so that the entire stack can act as a single logical unit with up to 40Gbps of stacking backplane. 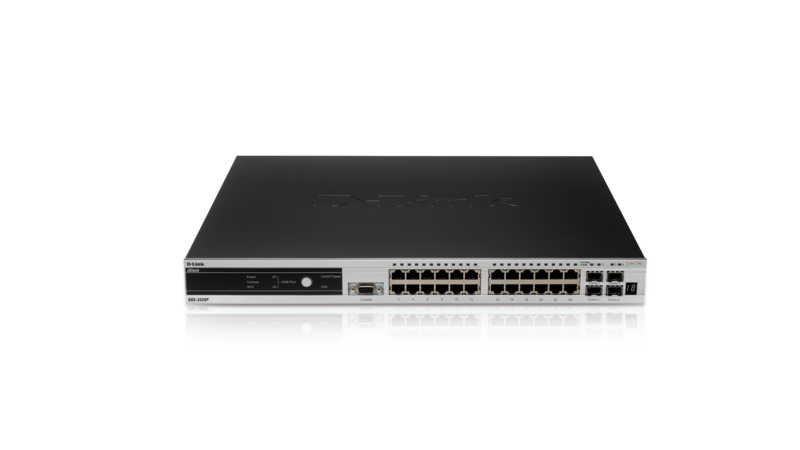 Furthermore, the xStack switch provides comprehensive security for edge access such as Access Control List, DHCP server screening and DoS attack prevention. The xStack DGS-3426P provides non-blocking switching solutions for gigabit connection and supports 24 Gigabit IEEE 802.3af Power Over Ethernet ports with 2 optional 10Gigabit uplinks. The switch also supports four combo SFP ports, which means that when these ports are enabled, four of the copper gigabit ports will be disabled. When stacked, the xStack DGS-3426P has a stacking backplane of 40Gbps. 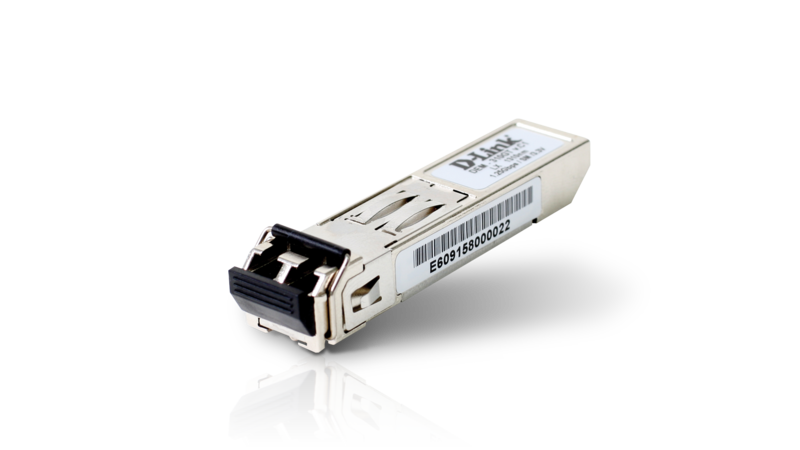 For edge network security, the DGS-3426P supports features such as IP-MAC-Port Binding to prevent security breaches such as rogue DHCP server, man-in-the-middle attacks or IP spoofing. For clients with XP SP3, Vista, or servers with Microsoft’s Server 2008, the xStack DGS-3426P works in conjunction with Microsoft’s Network Access Protection (NAP) as part of an ecosystem that enforces compliance with network health policies. The xStack switch grants network hosts access only when compliant with IT security policies, such as up-to-date anti-virus signatures and operating system patches. This prevents a virus-infested client or server from gaining access and furthering contamination. The xStack switch also supports loopback detection, which detects a loop in the network even though the end device causing the loop is without spanning tree. When the switch detects a loop is in the connected node, the xStack DGS-3426P shuts down the port with the loop so that the entire system will continue to function normally. This feature can also be VLAN based. The DGS-3426P incorporates advanced mechanisms to detect an attack against a switch’s central processing unit and to take corrective action on an attacking interface. When a Denial of Service attack is waged against the xStack switch, the D-Link Safeguard Engine™ detects the threat and prevents overload of the central processor, insuring network integrity and helping to maintain open network bandwidth channels. In addition, this D-Link switch supports 802.1x authentication, which allows users to securely log on to your network. When used in conjunction with a RADIUS server, 802.1x requires each user workstation attached to the xStack switch to provide a username and password before gaining access to the network. Other security features include Access Control List, allowing an administrator to restrict network access through a variety of means including MAC address, IP, UDP/TCP, and even VLAN ID. The xStack DGS-3426P provides Single IP Management Technology (SIM), which allows a set of switches to be managed a single IP, regardless of geographical locations. Your stack can be comprised of units that are located anywhere on the network, minimizing the impact of any single point of failure. Furthermore, multiple xStack switches can be configured, monitored and maintained from any workstation running a web browser through one unique IP address. The stack is managed as a single object, with all units identified by a single IP address. Using Tree View, you can obtain an overview of the members of the stack and a network topology showing the locations of the units and their link information. This simple yet powerful web-based management eliminates the need for you to install expensive SNMP network management software. 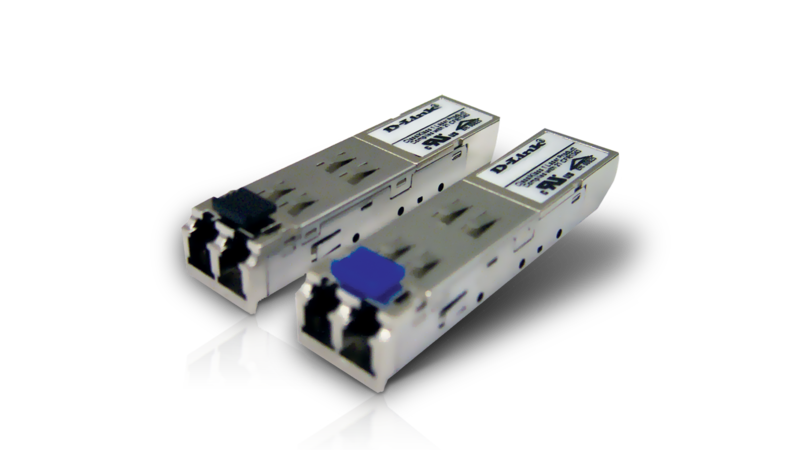 You can add units to up to 32 switches per stack not limited to any specific D-Link SIM models. The xStack DGS-3426P supports SNMP v1/2/3 so traps can be set on abnormal events and information can be polled to maximize the productivity of the network. Other standard management features also include RMON and IEEE 802.1d/w/s Spanning Tree. The user interface options include an intuitive web-based browser graphic interface or industry-standard CLI, either administration traffic can be protected through SSL or SSH encryptions.